Microsoft SQL Server 2016 delivers breakthrough mission-critical capabilities with in-memory performance and operational analytics built-in. You can also gain the benefits of hyper-scale cloud with new hybrid scenarios. That enables new Stretch Database technology. It lets you dynamically stretch your warm and cold transactional data to Microsoft Azure in a secured way. So your data is always at hand for queries, no matter the size. In addition, Microsoft SQL Server 2016 delivers a complete database platform for hybrid cloud, enabling you to easily build, deploy and manage solutions that span on-premises and cloud. Microsoft SQL Server 2016 builds on this leadership, and will come packed with powerful built-in features. 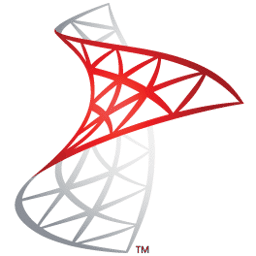 As the least vulnerable database for six years in a row, SQL Server 2016 offers security that no other database can match. It also has the data warehouse with the highest price-performance. Furthermore it offers end-to-end mobile BI solutions on any device at a fraction of the cost of other vendors. The Microsoft’s cloud-first product development model means that new features get hardened at scale in the cloud, delivering proven on-premises experience. In addition, Microsoft offers a consistent experience across on-premises and cloud with common development and management tools and common T-SQL.